Tanya Marquardt talks about Stray, her new memoir and 'meta memoir punk concert' about how she ended up finding a new home in Vancouver's underground goth punk scene in the late '90s. On the day Tanya Marquardt turned 16, she ran away from home. She was living in Port Alberni, on Vancouver Island, where her mother had moved the family a few years earlier to escape Tanya's father, an abusive alcoholic. Tanya was troubled and she had a lot of anger, but she was determined to prove her independence. These days, she's a writer and theatre artist. Her latest project, Stray, tells the story of how she ended up finding a new home in Vancouver's underground goth punk scene in the late '90s. But it's actually two separate projects. 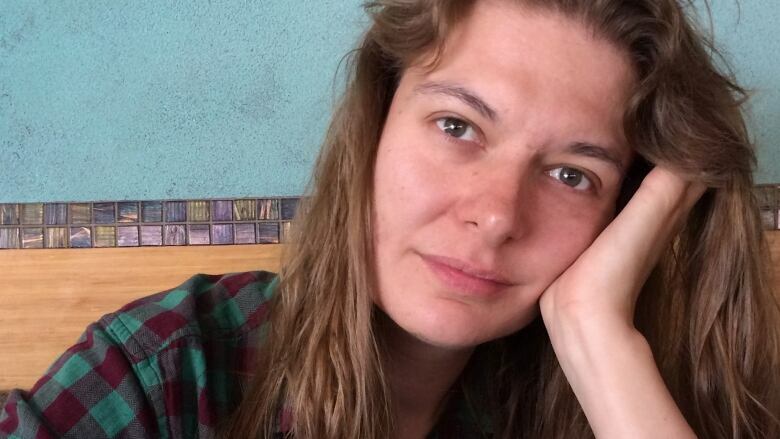 Stray is the name of Tanya's new written memoir, which will be published next month, as well as a "meta memoir punk concert," which she'll perform as part of the Summerworks Theatre Festival in Toronto this weekend. Today, Tanya Marquardt​ joins guest host Ali Hassan live in the q studio to share her story. Listen to the full conversation with Tanya Marquardt​ above.